SkyWest’s history is one full of ambition and perseverance. It’s little wonder then that SkyWest people and their families exhibit those same attributes. Need proof? Look no further than five-year-old JP Gibson, grandson of SkyWest Crew Time Coordinator Sherri Gibson. JP was diagnosed with acute lymphoblastic leukemia (ALL) at the age of two. 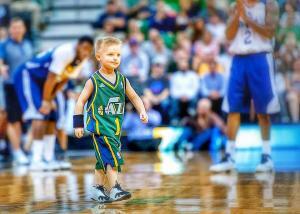 Since then he has faced the disease with so much determination and tenacity that even the Utah Jazz took notice and signed JP to a contract in October. Fulfilling his dream of joining the Jazz, thanks to the Anything Can Be project, JP quickly took the sports and media worlds by storm. After signing his one-day contract in the presence of Jazz executives and media personnel, JP took to the court to showcase his skills. He entered the Jazz preseason, intrasquad scrimmage to a huge ovation from the thousands of fans in attendance at the Energy Solutions Arena. 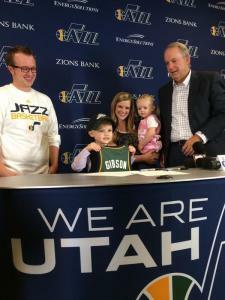 This phenomenal boy has not only achieved his goal of playing for the Jazz, but he and his family have brought increased awareness and funding to pediatric cancer. 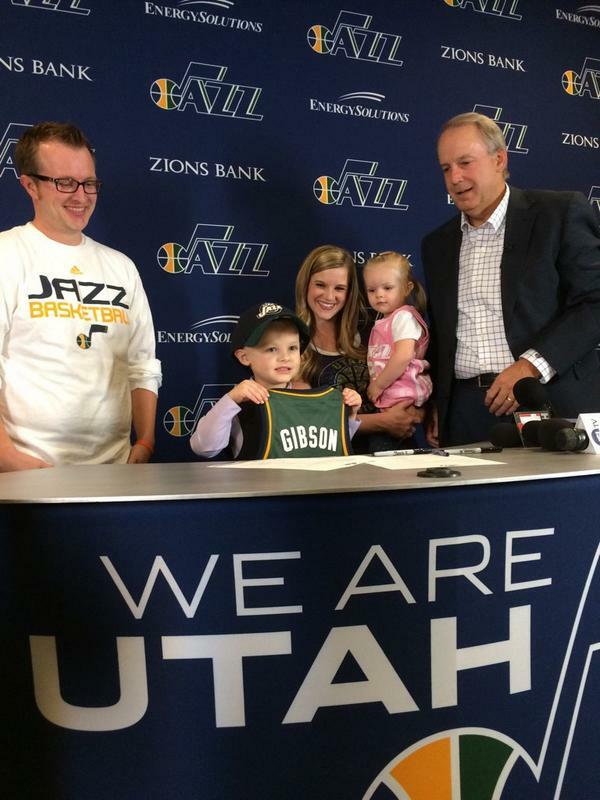 His parents, Josh and Megan, have become active lobbyists for pediatric cancer care and are involved with CureSearch in Salt Lake City. And even though he’s only five, JP has brought hope and courage to people across the country. JP’s story is filled with hope and determination, and is a testament to the human spirit that is displayed by SkyWest people and their families every day. Please join the entire SkyWest team in supporting JP in his fight against cancer, and wishing him a long and healthy life!